Neutron stars are amongst the most extreme objects in the known universe. And I don’t mean extreme as in frontside 360 stalefish varial, I mean the kind of extreme that would’ve given Einstein bad dreams. Born in supernovae, neutron stars are the ultracompact insanely dense cores of once massive stars. And, it has to be said, these stellar corpses are rather odd. 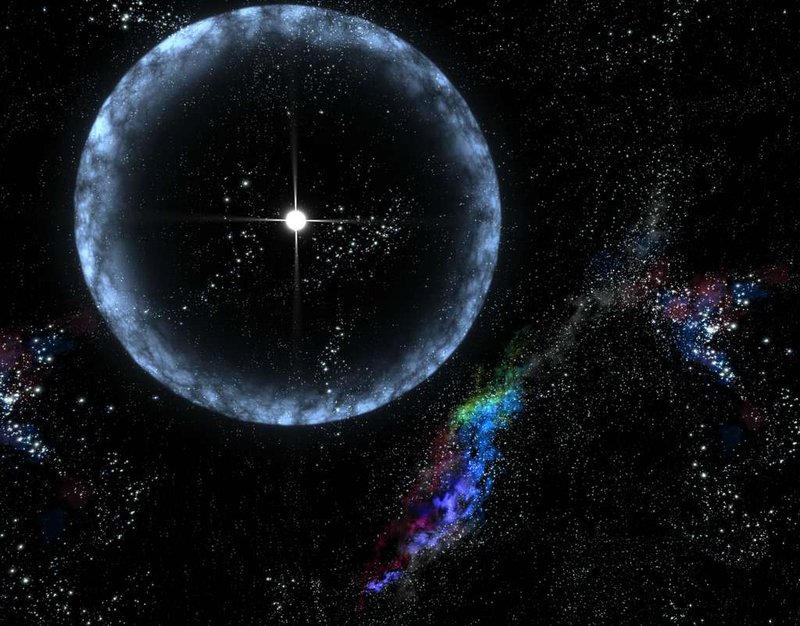 So, for your enterntainment, here’s 5 random facts about neutron stars and their general oddness! Neutron stars are genuinely tiny (and it’s quite rare in astronomy to be able to say that and mean it!). They’re only around 15-25km in diameter, which is comparable to the size of a city! They’re mostly found associated with supernova remnants (like Puppis A) or discovered as pulsars. Only one has ever been found on its own. Slightly worryingly, there must be quite a few neutron stars drifting silently through space, virtually impossible for us to detect. Pulsars, by the way, are all neutron stars. The magnetic poles of neutron stars aren’t quite aligned with the rotational poles (mind you, the same is true of Earth), and a neutron star’s magnetic poles emit beams of radio waves. In effect, they act a lot like lighthouses — Radio telescopes can see “flashes” every time they point in Earth’s direction, as radio frequency pulses. Pulsing stars = pulsars. No, I know, it isn’t very imaginative, is it?